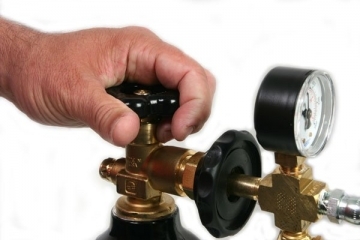 Pressure Regulators: Do I need one? If you have a Model 600, 670, 1000, 1505D, 1505D-EXP, you will need an external pressure source (Nitrogen Tank) to pressurize the instrument. 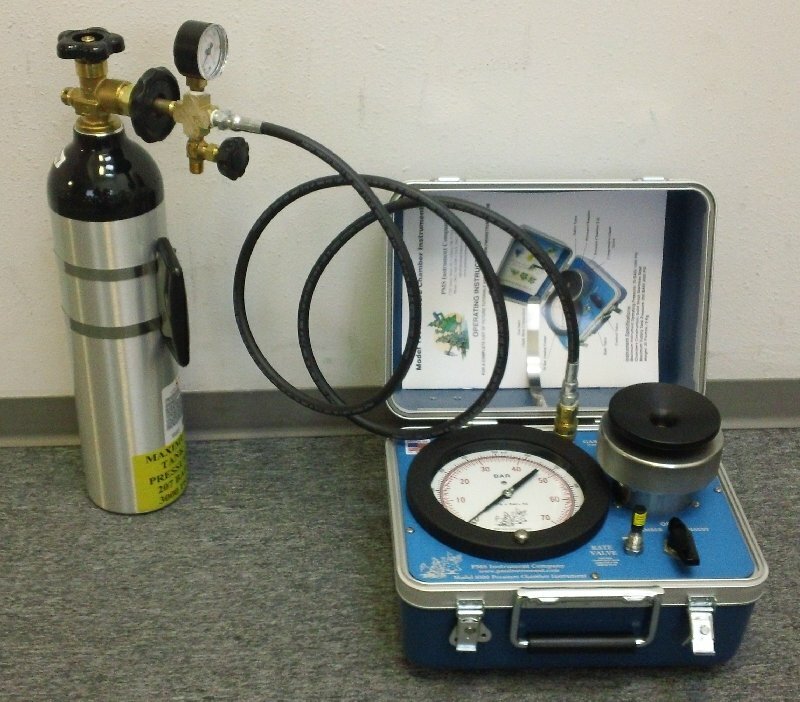 The instrument may be connected to a (large non-portable) nitrogen cylinder for use in a laboratory. However, a Portable Tank is helpful for use in the field. First step is to ensure your nitrogen tank is full. 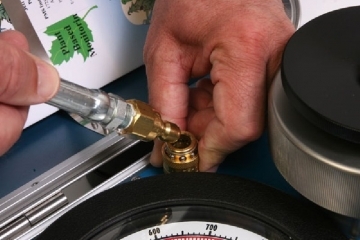 If you are using a Portable Tank, it will need to be filled prior to making measurements. If you have a Model 610, it has an internal portable tank. You just need to fill the tank with nitrogen prior to making measurements.. If you have a Model 615 or Model 1515D, the removable tank is already inside the self-contained unit. You will need to fill the tank with nitrogen prior to making measurements. 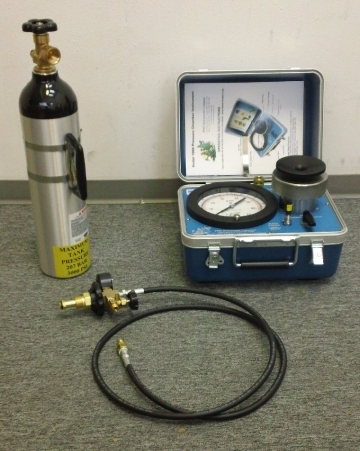 Pressure Chamber Instrument, Portable Tank and Filling Hose. First, connect the Filling Hose to the Portable Tank. Next, connect the filling hose to the instrument. You will need to push down on the outer ring of the quick connect fitting to get a proper connection with the hose. Pull gently on hose to ensure properly connected.